Andrea Rossi introduced his Ecat (short for energy catalyzer) generator in early 2011 as a tabletop device with an output capacity of about 10,000 watts. The generator seemingly uses cold fusion technology to release energy through the fusion of nickel powder and hydrogen through an unknown catalyst. The Ecat generator produces heat which is used to power essentially a steam engine. The steam engine can drive an electric generator and so convert the mechanical energy into electrical energy. The potential uses of Rossi’s Ecat generator are nearly limitless. Ecats could be used to power anything from a passenger car to a rocket. 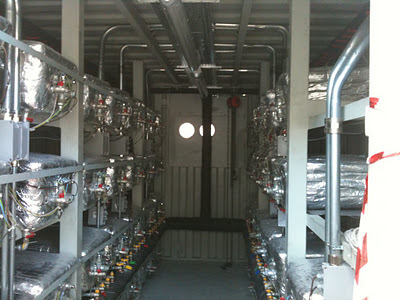 Ecats could be used for personal space heating, air-conditioning, and process heating and cooling. 4. Waste product is copper, made when nickel is transmuted into copper. Air and water pollution are minimal. 5. The system produces low-cost energy (About 1 cent per kilowatt hour or less), and the system is scalable so it could be made available off the grid and placed outside a home.